Really protects tresses from heat appliances! **This product in a nutshell: **is a very, very good pre-treater to help protect your hair from the damages of heat-styling. I use both a blow-dryer and straightening iron every other day, sometimes everyday. I need something that acts as a buffer against all the bad things I do to my hair! While looking for a budget-friendly heat protectant, I discovered this item at my local grocery store. 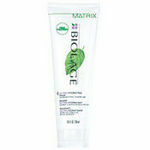 I was previously using the Biolage heat protectant, which I have reviewed here on VP, and I like it alot. But like most salon products, Biolage costs more than I would like to spend. **John Frieda Frizz Ease Heat Defeat Protective Styling Spray **comes in a 6-oz spray bottle with a unique trigger handle that sprays out only the amount of product that you want to apply. After spritzing this product directly on my wet hair, I was pleased that combing my hair was very easy and it smelled delightful. I let my hair air-dry a tad, and then put on some styling cream. With a round brush, I blow-dry my hair and follow up immediately with a straightening iron. **John Frieda Frizz Ease Heat Defeat Protective Styling Spray **makes my hair silkly, soft, and shiny! I really find that it protects my hair from heat appliances as I have used them without 1st applying this product. There is a huge difference! When I do not use it, my ends are brittle and the shaft has very little shine. When I do use it, my hair looks so healthy and is very manageable. This product definitely competes well with the Biolage product, but one thing Biolage has that John Frieda does not is bodifying capabilities. **John Frieda Frizz Ease Heat Defeat Protective Styling Spray **does not give any volume at the root. My tresses are smooth & sleek, but a little more volume & texture at the scalp would make me love this stuff even more. It's not a deal-breaker, though. I still love it! **I give this product 4/5 Stars because: **it smells lovely and protects my hair from heat styling. Silky smooth and super straight! I bought this as a spur of the moment kinda thing because I needed a new heat protectant and it was on sale. I honestly am not very good at choosing products for my hair but this is one of those times where I got EXTREMELY lucky. I bought this about 6 months ago when I had no idea what I was doing with my hair. Fortunately I knew John Frieda was a good company and decided to get it. It hasn't let me down yet! It helps me straighten my hair with ease and leaves it silky, smooth, and shiny! I have gotten so many compliments on my hair since using this. My hair was so frizzy and gross when I didn't straighten it. ESPECIALLY in the summer. But now styling my hair in the summer is super easy and gives me a super straight style that I love. The only thing I have to say bad about this product is that I personally am not fond of the smell but everyone else I know says it smells really good so it's just my opinion. I began to use this product as a last resort. My hair is so long and thick, and it can be damaged easily. It can also be very unmanageable since it is curly underneath and straight on top. I use a hair dryer and a straightener on a daily basis. So I need something that will protect my hair against those "harsh conditions." This product has it all. My favorite thing is that it has a sprayer. Sometimes I don't like working with product that I have to get all over my hands and work into my hair. I want something simple that I can just spray on. Heat Defeat also works! It provides a protective barrier between the heat and my hair. People comment all the time on the health of my hair, and I attribute it to this product! It also keeps my hair from frizzing up throughout the day. I had a coupon for this item, so it was not that expensive, but it can be pricey. I would say that it is definitely worth the investment! Personally, I think this product is AWESOME. Every day I straighten my hair and every other night I blow dry it, and it's perfect for straightening AND protecting against heat, so it's right up my alley. Also, the brand is Frizz-Ease, and my hair is never very frizzy either (just take note that I have very thick, medium-length hair). I would definitely recommend this to anyone. Great heat protection at budget-friendly prices. I decided to try the John Frieda heat-protection spray because there was a drugstore deal and it wound up being super-inexpensive. I was already happy with the heat-protector spray that I was using, but I was hoping to find a less-expensive alternative that was more easily available. (The product I was using was only available at beauty supply stores.) It works great! My hair turns out super soft every time and I feel like it is well protected, and staying quite healthy. This is important because I straighten my hair using heat syling tools every other day. 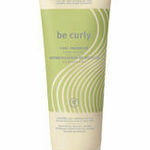 I also have a hard time finding products that work well on my hair because it is naturally curly and quite coarse. This heat sytling spray meets all the needs that I have, and my hair never feels sticky or greasy. A little goes a long way and it ends up being very cost-effective. I'm becoming a firm-believer in the goodness of John Frieda products! Heat Defeat definitely helps my hair stay healthy longer. I really like this product, it helps keep my naturally very wavy hair straighter longer. Without it my hair ends up having slight waves in it later in the day. This product keeps the waves away. I make sure i spray the tips since they need the most protection. The smell of it isn't bad but it may be something you have to get used to. The only thing I'd say that I really don't like about this product is that it gives my hair a bit of a grainy feeling after I use it which makes it hard to run my fingers through it but that mostly goes away through the day. 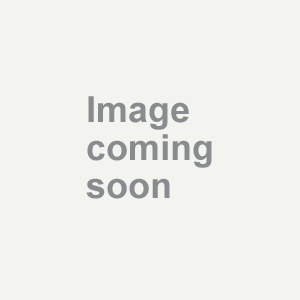 It is a good product and definitely a great value. John Frieda Heat Spray is the best heat spray I have ever used! I tried John Frieda Frizz Ease Heat Defeat Protective Styling Spray out of desparation! I was brand loyal to another heat tamer spray, but found that it was only available off and on at one store in my area. There was a sale at my local drugstore for John Frieda products, and I discovered that John Frieda makes a heat spray, to my surprise! I was able to get the spray for a very decent price (and I have found that it goes on sale nearly every other week, so it's very budget-friendly). Not knowing what to expect from a new brand, I was suspicious at first that this spray would do just as well as my "normal" spray. After my first use, I was hooked! It smells great, and works beautifully on my long, thick, somewhat straight/somewhat wavy hair. I use a flat-iron almost daily, and this spray makes my hair smooth, shiny and keeps it from having that "fried" smell! You will not be disappointed with this spray! John Frieda Frizz Ease Heat Defeat Protective Spray is the best! **I love this. ** This heat protectant makes my hair totally silky when I straighten it. Spray it on a section, brush it, and then straighten. I always used this when I used to straighten everyday. Now, I don't use it because I like my natural hair. I straighten it occasionally. This product is amazing if you straighten it everyday! (= As for blow drying, it works really well. Spray it on, brush it through, take a brush and follow it with the hair dryer. It dries your hair fast, too!